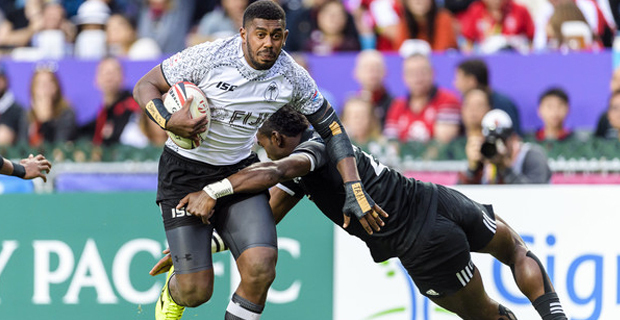 Fiji Airways 7s skipper Kalione Nasoko has been ruled out of the Hong Kong and Singapore 7s tournaments due to a persistent knee injury. Coach Gareth Baber says Nasoko has been battling with injuries and has not been able to recover in time, so he won’t be available for Hong Kong and Singapore. Nasoko injured his knee at the Canada 7s and despite close monitoring by the medical team has failed to reach the strength required to compete at the toughest tournament in Hong Kong. Baber will name his traveling squad for the next two tournaments today. Fiji will take on Kenya at 11.37pm next Friday in their first pool match of the Hong Kong 7s, they will then take on Australia at 5.13pm next Saturday and play their final pool match against New Zealand at 8.55pm next Saturday. The Cup quarterfinals will kick start at 2.58pm next Sunday, cup semifinal final at 7.41pm and cup final will be played at 11pm next Sunday.